It's come a long way from renting videos from a video store. 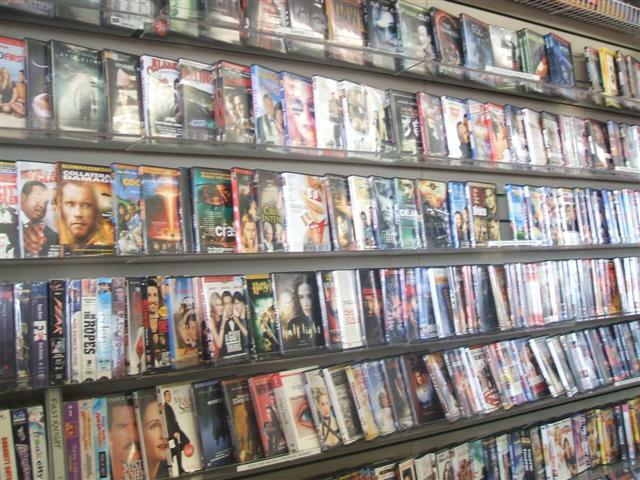 Many video stores like Hollywood Video and Blockbuster Video have since vanished, turned into renting DVDs and have become online rental businesses like Netflix. I am a fan of many movie rental businesses but my favorite has been Redbox. Since seeing the little convenient red boxes inside my local grocery stores or outside small stores in my area I've been hooked. It's convenient and affordable. What used to be $1.00 per video has now changed to $1.20 +tax, still very affordable! Not only are they affordable and convenient, their customer service is like no other. There had been times in the past when a movie was scratched or stopped working midway through. I emailed customer service and received quick instructions on how to fix it and if it didn't work they compensated me by giving me a refund/Free rental in the future. My kids and I rent movies and games from Redbox several times a week. We love the convenience and choices Redbox has. Don't forget that now you can purchase Redbox gifts anytime of the year as a thank you, get well or just no reason, feel good fun! Visit http://bit.ly/uqDw4a to buy bundles of DVD and game rentals for your friends and family via email, text message or Facebook. To like Redbox on Facebook,click here. To find a Redbox near you, click here. For detailed information on the rental codes, click here. Thanks to Smiley360 I had a chance to rent a movie for free. If you are not familiar with Smiley360, click here for more information.